ImPress nails? Wait. What? 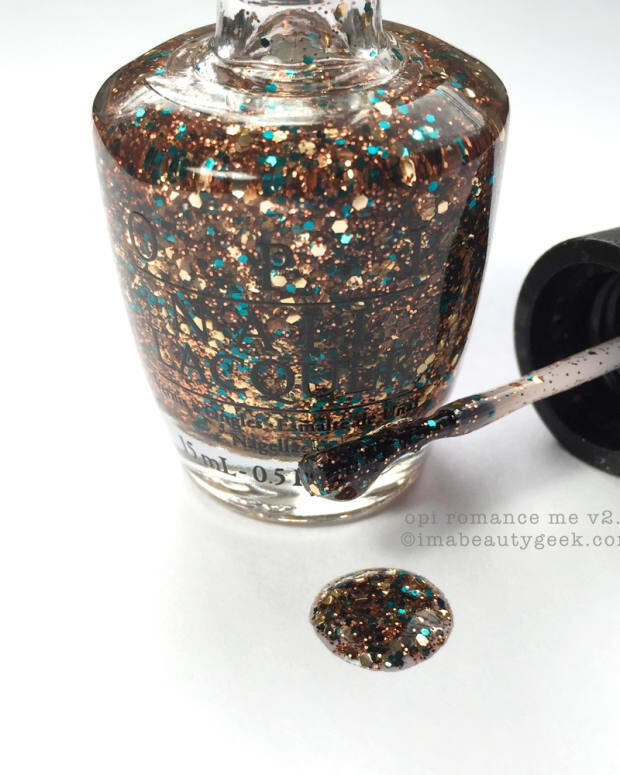 Press-on nails from the ManiGeek? Whaaaat? Yes. They’re ImPress Press-On nails. Some people don’t have the technology or the time to sit and paint their nails ’n wait for them to dry. Some people want colour, they want something pretty, maybe they want some art and they can’t art for beans. Maybe they broke a nail. Or maybe their nails are short and they want some length. Whatever the reason, ImPress has a solution. Seriously. Read on, my pretties. can impress nails impress me? 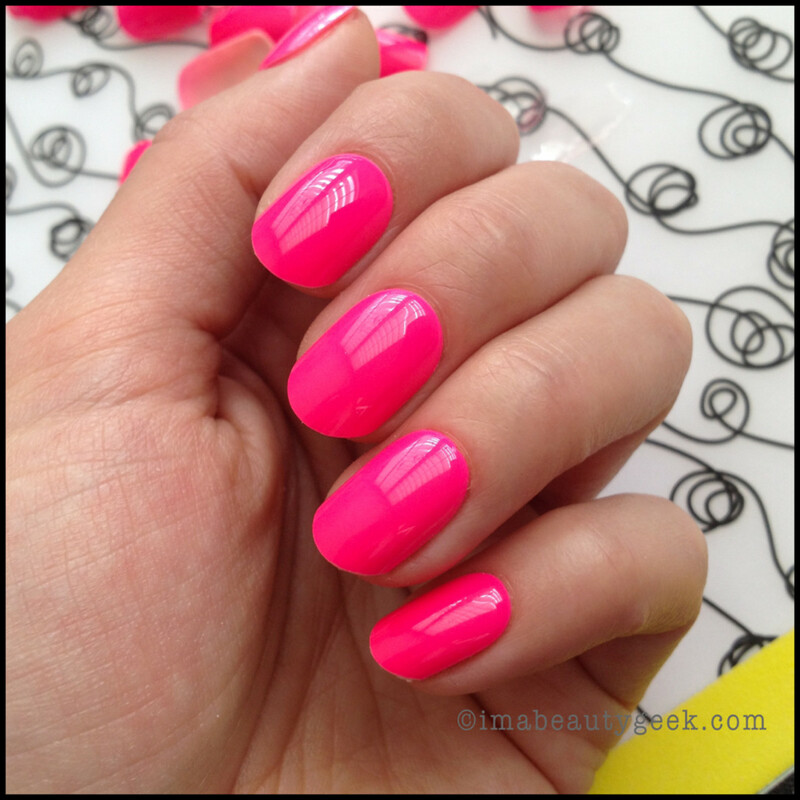 Launching this June are six new shades of ImPress nails Neon shades built for short nails. 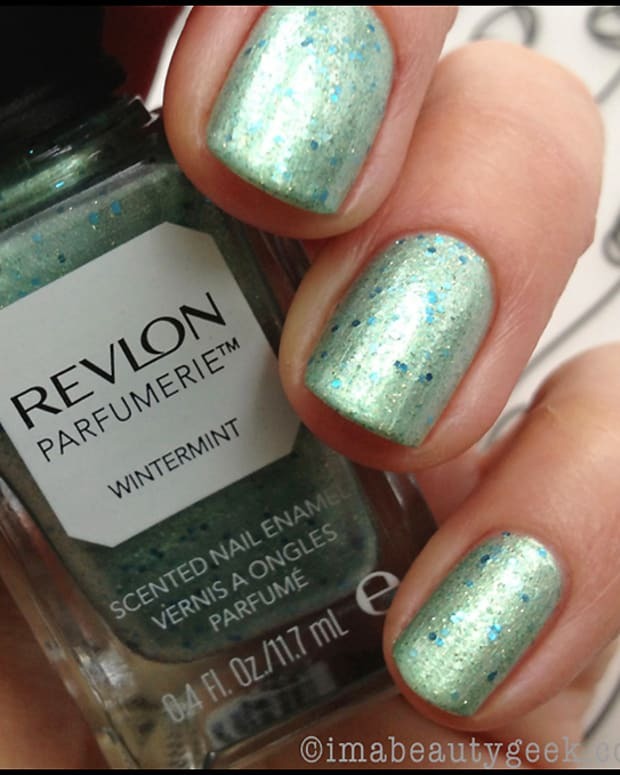 If you have shorties, you’re lucky – you can choose any one of the new shades. I do not have short nails. In fact, even when I have short nails, I have long nails on account of the length of my nail bed. 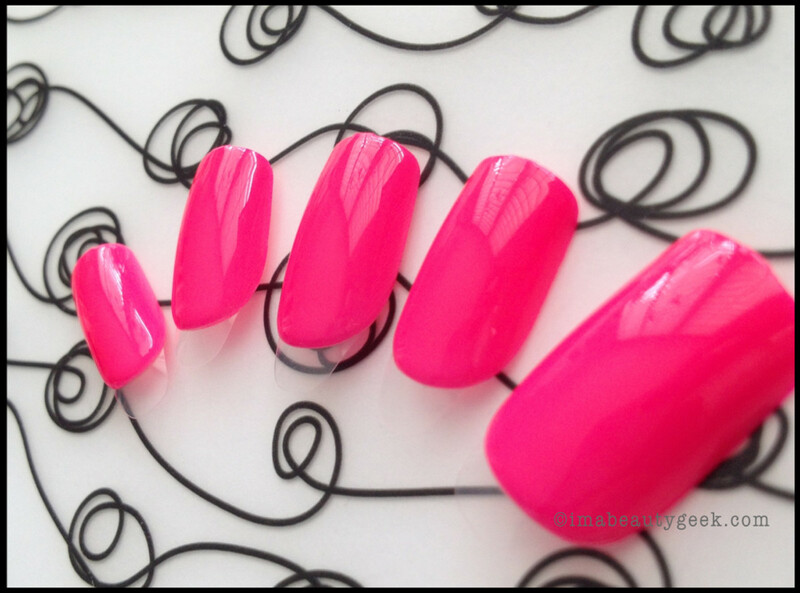 So what does ImPress nails do for me? They make medium length kits too. And I used one. 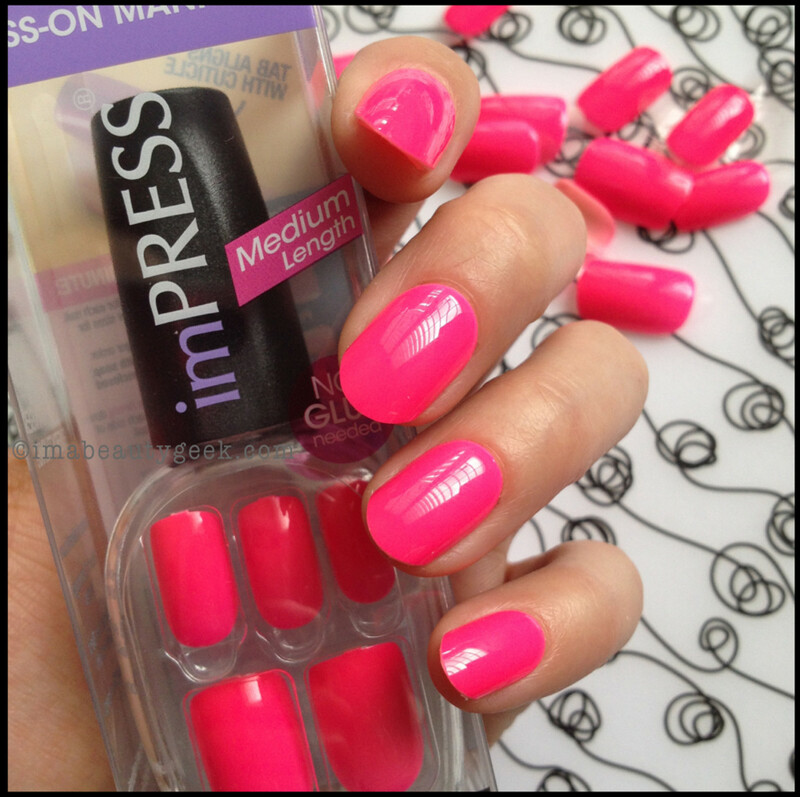 ImPress Nails in Media Darling: That’s the whole box ($10.99) right there in my hand. The shade name is Media Darling. 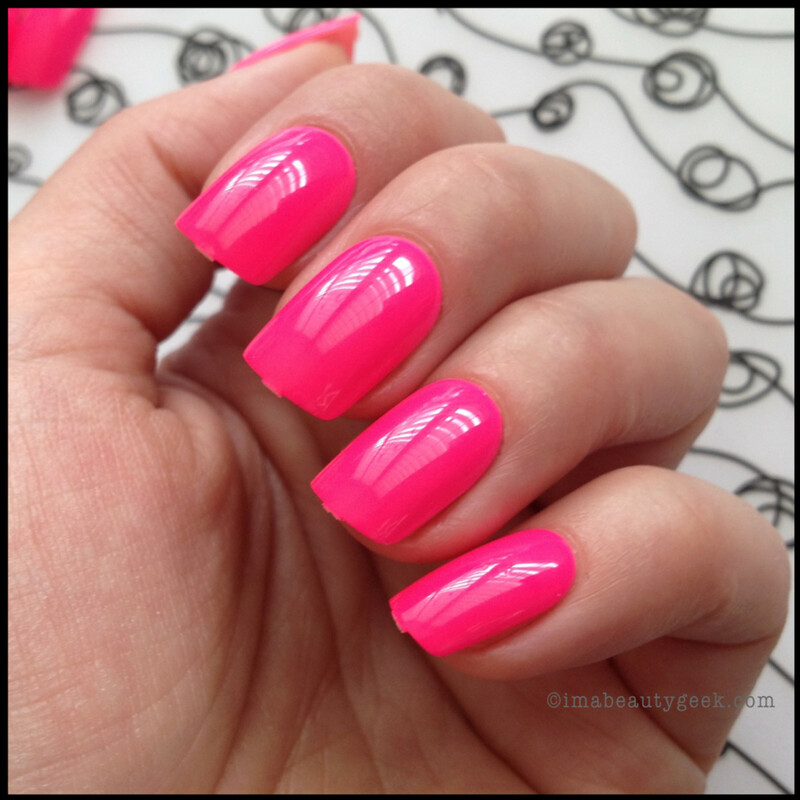 S’neon pink. 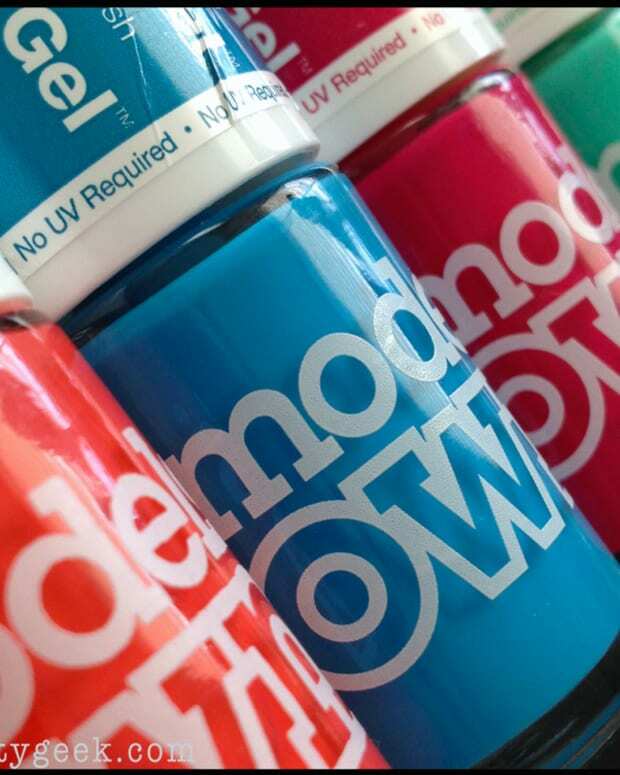 No white basecoat required! ImPress press-on nails all dumped out: So many sizes! It took me a little while fiddling around to pick out the ones that best suited my own nail size. There are microscopic numbers on the back that are way too small for my old eyes to see, but they’re there. 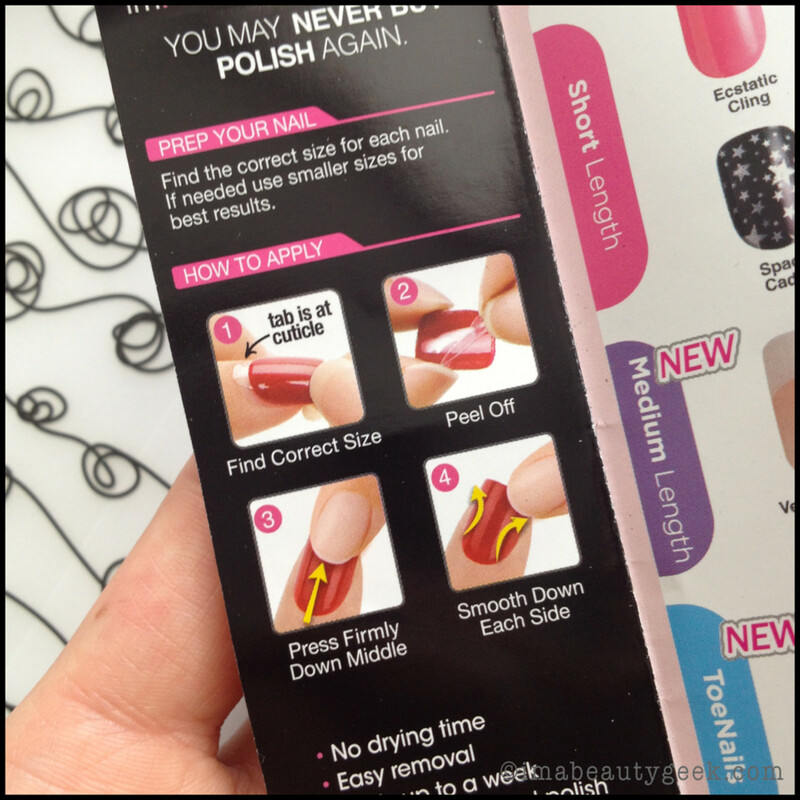 ImPress press-on nails: Super-easy instructions along with a tiny nail file (that I didn’t use) and a prep pad (that I did use). 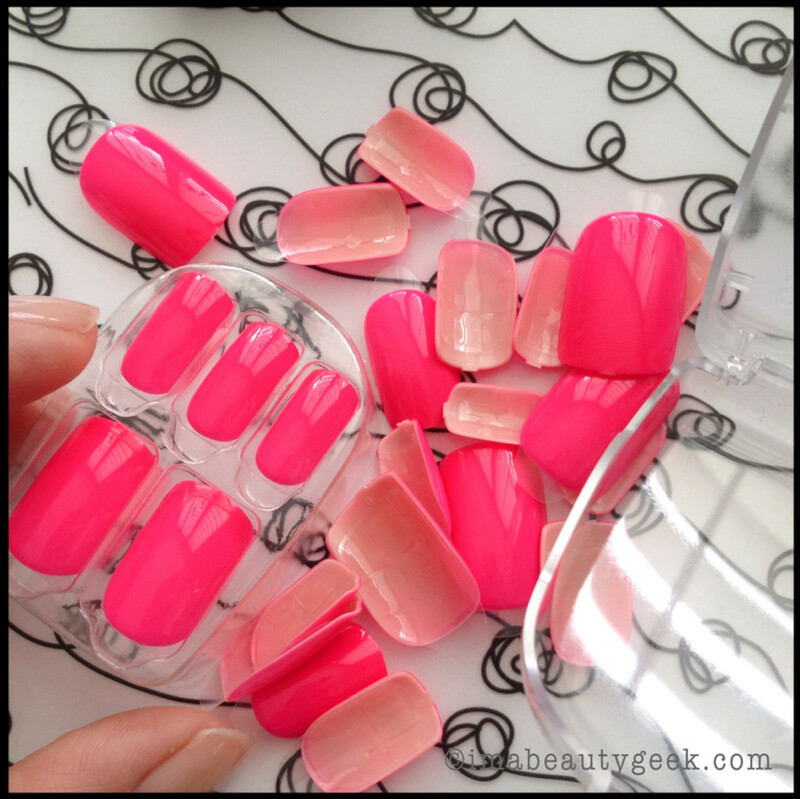 Impress press-on nails: So I peeled the clear plastic backings off and stuck ‘em on. That took maybe 2 minutes. Yeah, odd-looking, right? S’ok. They’re meant to be filed. 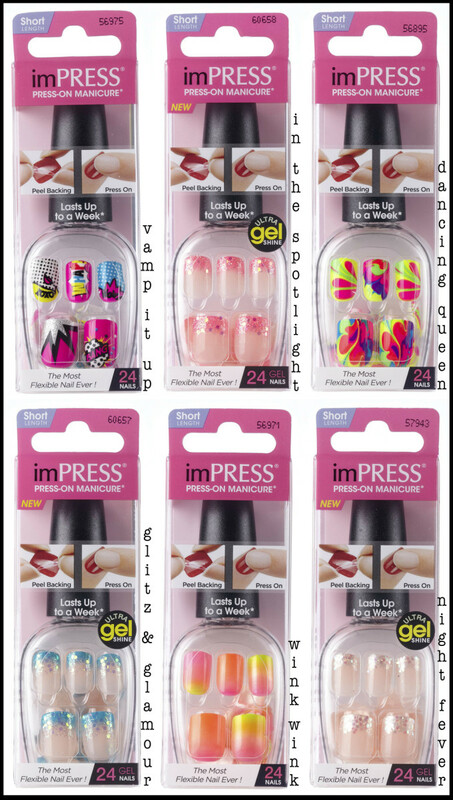 Impress press-on nails: Then I went at them with a nail file. I used a 100/180 emery board to file off the corners and get a general shape that suited me, then I used a nicer, gentler file to clean up the edges. You’re surprised at how it looks, right? I was too. Impress press-on nails: From all the angles, you can see the press-on nails don’t quite fit my nail beds but it’s awfully close. I mean who really looks at your nails that closely anyhow, right? Only you. But if I’m honest, when I look at them straight on, my real nails look very much like that. I might have a bit more curve on my middle finger but mostly, it’s a pretty good match. They feel a little bit heavy at first – like there’s a Band-Aid stuck on my finger or something. But that feeling goes away pretty quickly. And they’re tough – they stood up to a very rigorous filing – I sawed at them with my file and they didn’t budge. The instructions say to minimize contact with water for 30 minutes after application and my guess is that it gives whatever super-awesome glue product is under there time to set up. Removal was a cinch – I got in under one of the side edges and lifted very slowly. Underneath, my natural nails are perfect. So there you are – an ImPressive press-on nail manicure that can last up to a week (with proper application). You have thoughts, I know you do. I’m happy to hear ’em all! If any of that appeals to you, ImPress is launching their neon line; here&apos;s a picture of all six kits. Man, if I had shorter nail beds, just for fun, I would totally sport Vamp it Up. Would you? Huh?